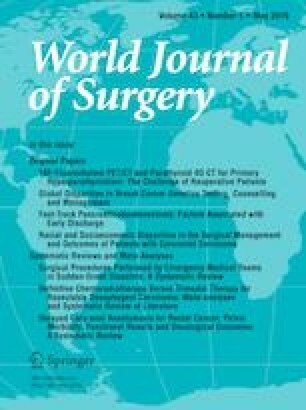 High-Dose RAI Therapy Justified by Pathological N1a Disease Revealed by Prophylactic Central Neck Dissection for cN0 Papillary Thyroid Cancer Patients: Is it Superior to Low-Dose RAI Therapy? One of the presumed advantages of prophylactic central neck dissection (pCND) is offering staging basis for more aggressive radioactive iodine (RAI) therapy, which postulates the necessity of high dose for treatment efficacy. The present study aims to compare the effectiveness between low-dose and high-dose RAI in a select cohort of cN0 papillary thyroid cancer (PTC) patients with pathological N1a (pN1a) disease revealed by pCND in terms of ablation rate and response to therapy. The frequency of short-term adverse effects between the two groups was also compared. From January 2014 to April 2016, cN0 PTC patients with pN1a disease revealed by pCND in our hospital were retrospectively reviewed. Patients with other indications for high-dose RAI, such as the presence of extrathyroidal extension, vascular invasion or suspicions of distant metastasis, were excluded. For the included patients, high dose (3700 MBq) was administered between January 2014 and August 2015 and low dose (1110 MBq) between August 2015 and April 2016. Ablation assessment was performed 6 months after RAI therapy. Response evaluation after RAI therapy was performed after 46.3 ± 9.5 months for high-dose group and 29.1 ± 2.6 months for low-dose group. All patients were also evaluated for short-term adverse effects 24 and 72 hours after RAI administration. A total of 84 patients were enrolled. Among them, 42 were in the high-dose group and the other 42 in the low-dose group. There was no significant difference in ablation rate (P = 0.7707) and response to RAI therapy (P = 0.6454) between the two groups. Twenty-four hours after RAI administration, neck pain and swelling (33.3% VS. 11.9%; P = 0.0372) and gastrointestinal discomfort (45.2% vs. 21.4%; P = 0.0373) were significantly more frequent in the high-dose group. High-dose RAI therapy, with higher frequency of short-term adverse effects, appears to be not superior to low-dose RAI therapy for cN0 PTC patients with pN1a disease revealed by pCND to achieve better response to therapy. Further randomized studies with larger series of patients and longer follow-up duration, especially with the low-dose group, are needed to validate our results. Lan Wei and Lin Bai have contributed equally to the writing of this article. This work was supported by the Young Researcher Fund of Science and Technology Department of Jilin Province (Grant number: 20170520027JH) and the Norman Bethune Youth Program of Jilin University (Grant number: 2015219).